This week I got a bit crafty and managed to make two pins come to life! That's pretty much a miracle with two toddlers running around my crazy house. Anyway, I am getting ready to take my Christmas decorations out and I needed some fresh decor. Here is the first project from this week. 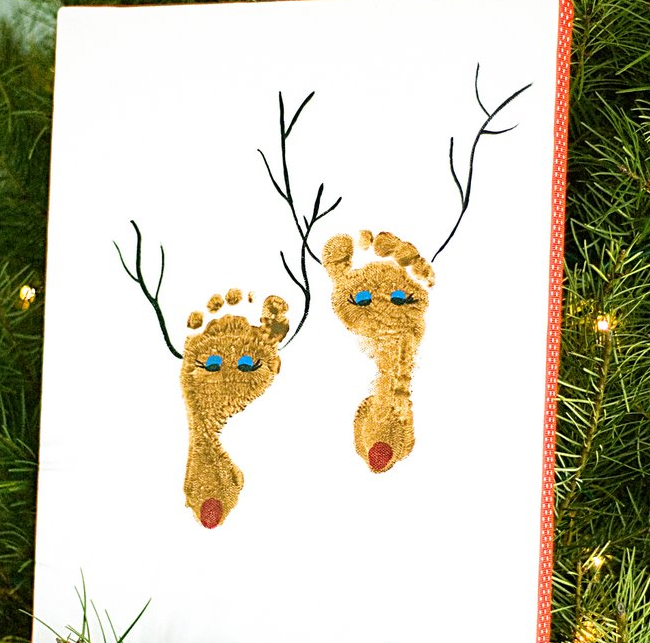 I had a little help from Ava and Lily and we transformed their little feet into adorable reindeer! Just a bit of acrylic paint and some adhesive googly eyes and voila! Another DIY project complete was inspired by the below pin. I like this one too. 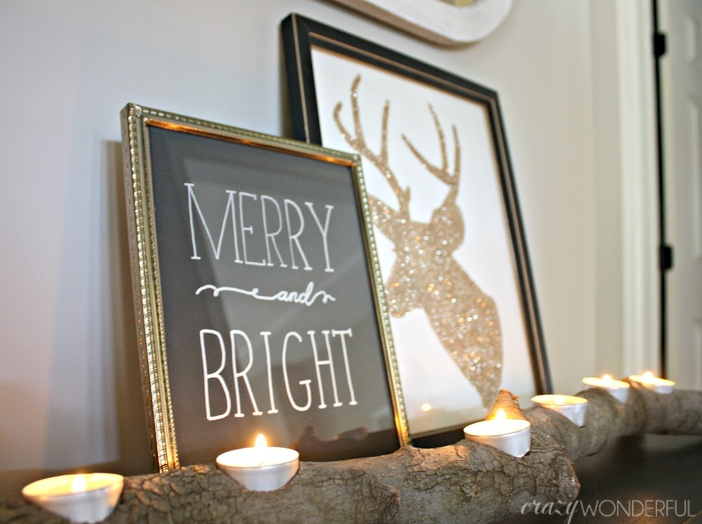 I think I'm going to copy cat that merry and bright in a frame too! 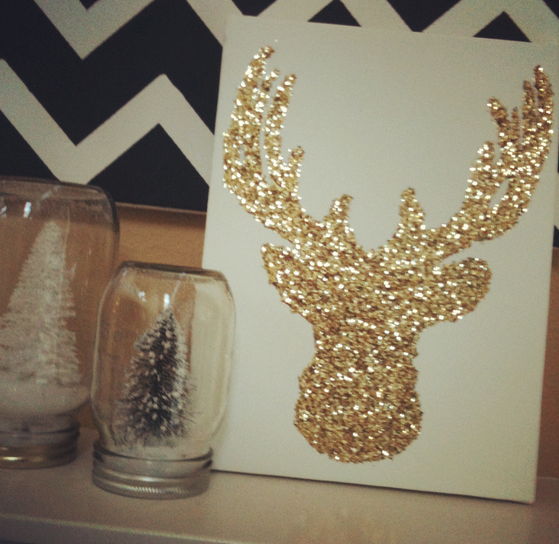 I simplified the instructions from the first glitter deer art link and I think you'll find it's a bit easier and less messy. Hope you enjoy! Step 1: I used the same template as in the first set of the instructions (found here). I printed it out and cut the outline out. Step 2: I just happened to find this gold glitter foam sheet while wandering around the art section and it worked perfect! I actually liked it a lot better since it was less messy and it gives a pop-up effect on the canvas! Step 3: I used the cut-out and turned the glitter foam sheet over. I used a pen to trace the outline. Step 4: I used scissors to cut the outline. I decided I didn't want to mess with cutting the holes in the antlers. I think it looks good with just the outline of the antlers. Step 5: I used spray adhesive as directed on the can. Canvas (they come in a 2-pack)-- just in case you want to make the first project too! 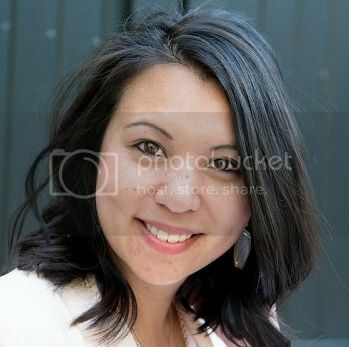 Are you following me on Pinterest? 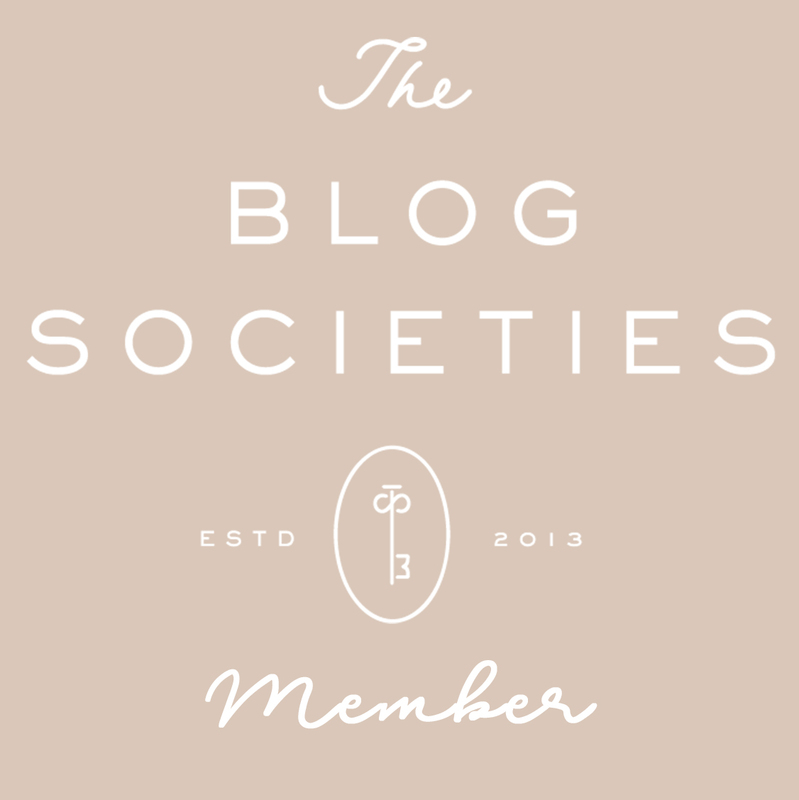 Follow along as I tackle one Pinterest dream at a time!